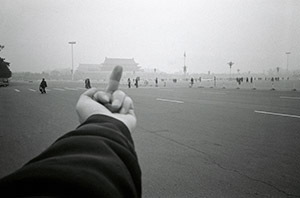 Francis M. Naumann Fine Art is pleased to announce the opening of two concurrent exhibitions devoted to the work of Ai Weiwei, the infamous Chinese dissident whose work not only challenges prevailing aesthetic tendencies, but also defies the entrenched political system in which he lives. 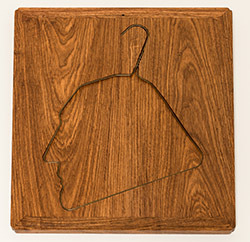 Viewed chronologically, the first portion of the show is held at the midtown gallery of Francis M. Naumann Fine Art, where historically significant work by the artist was selected to foreshadow the conceptual orientation of new work shown at Chambers Fine Art, a gallery located in the Chelsea section of Manhattan. Both shows were curated by John Tancock. The Naumann portion of the show features work that charts the conceptual intersection between the work of Ai Weiwei and Marcel Duchamp. 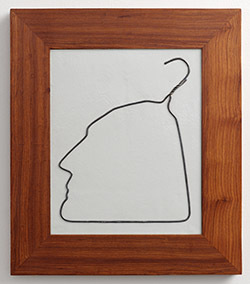 Ai learned of Duchamp’s work during the twelve years he spent in the United States (1981-1993), and almost immediately recognized its significance in his own work, as in his Hanging Man: Homage to Duchamp, 1983, which consists of an ordinary wire coat hanger bent to mime the profile of the famous French artist (as in Duchamp’s Self-Portrait in Profile, 1957). 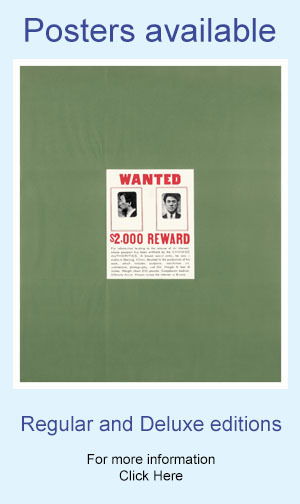 Two later examples of this work will be shown in the exhibition. 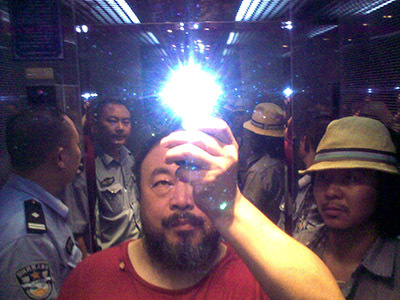 Because of a rapport that can be established between Duchamp’s work and Ai Weiwei’s politics (http://www.francisnaumann.com/EXHIBITIONS/Weiwei/essay.html), works were selected that intentionally emphasize the artist’s activism, beginning with two examples from his series called Study in Perspective, in this case, photographic images of Ai delivering a subversive gesture to Tiananmen Square and the White House (to illustrate that his criticism applies to all governments that attempt to curtail the activities of their people). Ai’s outspoken positon on these issues resulted in his 81-day imprisonment in an unknown location outside of Beijing, which is charted in this exhibition with his photograph Illumination, a self-portrait taken in an elevator at the time of his arrest, and culminates in a maquette for one of the six dioramas of S.A.C.R.E.D., a series that features half-scale, three-dimensional figures of Ai Weiwei and his guards, as well as details from the cell he occupied during his confinement. 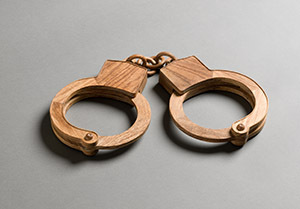 Other works that could be said to relate to Duchamp’s readymades are a pair of handcuffs expertly carved out of hulai, a rare hardwood indigenous to China that was used for the construction of fine furniture in the Ming and Qing dynasties. 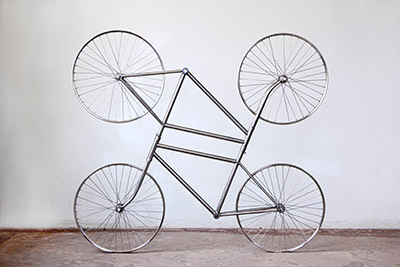 A pair of stools grafted together and two bicycles fused into a singular object are reminiscent of Duchamp’s Bicycle Wheel assembly of 1913, a purely formal comparison that this exhibition attempts to demonstrate is superseded by underlying conceptual and political concerns (see again the essay referred to above). A work that combines Ai’s aesthetic affiliation with Duchamp and his subversive political stance is a set of three Han Dynasty vases (likely from the third century AD) that are beautifully colored with metallic auto paint. This gesture combines the venerated tradition of the Chinese past with its embrace of a capitalist system that has allowed many of its people to discard their bicycles for the newest automobiles, a situation that has contributed significantly to the carcinogenic smog that now permeates the air of every major city in China. The Chambers exhibition features entirely new work, eight Rebar Caskets, which trace their origin to the Sichuan Earthquake of May 12, 2008, which killed 69,000 people, many of whom where children attending school (since the quake struck in the early afternoon when classes were still in session). 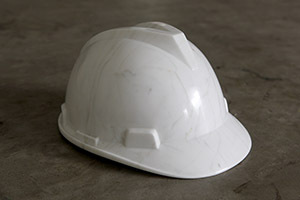 Ai Weiwei purchased tons of rebar salvaged from the collapsed buildings, and has used it in several works that serve to emphasize the tragedy of this disaster, culminating in the present set of Rebar Caskets, where the metal rods are rendered in pristine white marble and carefully inserted into each box, clearly surrogates for those who lost their lives. The Chambers exhibition also includes several small sculptures in jade, a material that has been used in Chinese art for centuries, but is here used to mime the appearance of perfume bottles and an assortment of sexual toys.